Over the last few years, LEDs have replaced many incandescent bulbs and other fixtures like Halogen lamp, fluorescent lamp etc. Many traditional fixtures were also replaced or LED lamps were installed in them in place of already existing bulbs. Needless to say, this will go on until there is no incandescent and other excessive energy consuming lighting fixtures are used for illumination except LED lights. The revolution of LED is about to reach its highest reach. A great part of the population of electricity consumers is already using LED lights for illumination. With the regular upgrading technology, LED has also become an important aspect of Smart Lighting. It is enhancing the daily lifestyle of everyone to a great deal and making it easier for us to take total control over the luminosity. For attaining a smart network, the lighting system needs to be connected to an intelligent network. LED lighting becomes a part of a powerful network when it is combined with a connected intelligent network. This network is a very effectively organized system which works cooperatively. The main task of this system is to gather & analyze the information, control and respond to set point and real-time responding. This results in collecting every data that is needed to complete a smart home network. Once the smart network is accomplished, it becomes more integrated to its operational performance as it quickly responds to the issues which result in an increase the reliability and efficiency. A connected lighting system works same as the HVAC system which adjusts the room temperature based on the Heating, Ventilation and Air Conditioning. This system harmonizes lighting according to the same factors and couples it with climate control system. The outcome of connected intelligent lighting network increases the efficiency of lighting and reduces the energy cost while providing the overall control to the network users. It can create the lighting ambiance to increase the concentration and productivity. It also sets the ambiance for the well being of the user and creating a positive mood. The sensors installed in this system allow many advantages over normal lighting system. It sets the light in synchronization with natural daylight cycle which can be changed accordingly to the requirement of the user. It automatically dims down and increases the brightness of light according to the presence of sunlight in the room i.e. coming through the windows. The most revolutionized technology used in an intelligent lighting system is Power of the Internet. It reduces all the wiring gobbledygook and makes it easier and simpler to get a smart lighting system. The internet allows the control of lighting wirelessly which can be also controlled through a smart-phone. This magnificent network is rapidly changing the world of smart technology and taking it to the higher grounds. 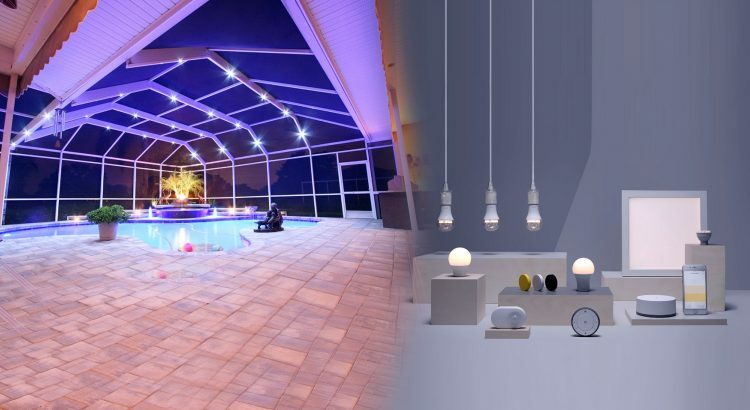 An intelligent lighting system depends on many types of things which include fixtures, the connection of cables, type of lights, smart sensors, nattily developed LED drivers, wireless routers, and dimmers etc. A suitable connection of these things makes the bright future for smart home and smart buildings.